As part of an ongoing pilot project, beet brine is being sprayed on city streets and pathways to prevent ice from forming. With the white stuff now blanketing the city, roads crews are again adding a shade of brown to some Calgary streets. As part of an ongoing pilot project, beet brine is being sprayed on streets in the Beltline, as well as pathways, to prevent ice from forming. "We started with a small trial of about 2,000 litres, then the next year we extended the trial to 30,000 [litres]. This year we want to continue that," said Jim Fraser, the city's central district manager for roads maintenance. The aim behind the initiative, says Fraser, is to use less salt, which can be corrosive to vehicles. 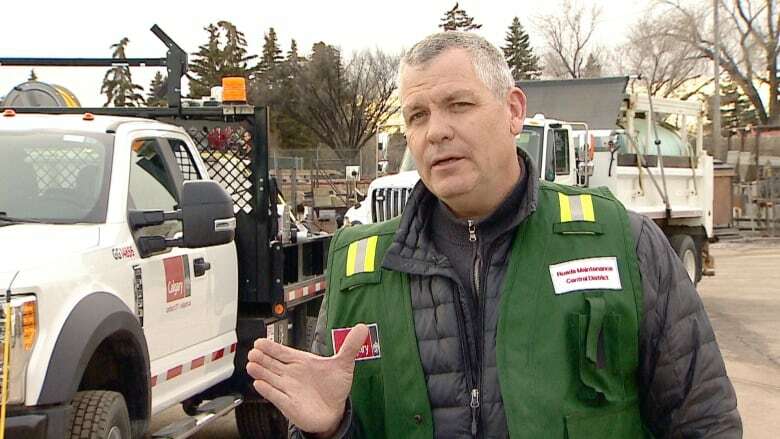 "So about 5,500 litres [of beet brine], which is a full truck for us, represents about 980 kilograms of salt," he said. "And if we used a full truck of just salt, that would represent about 7,000 kilograms. It's a situation where we're just trying to reduce the chloride usage and be a little bit more environmentally friendly." 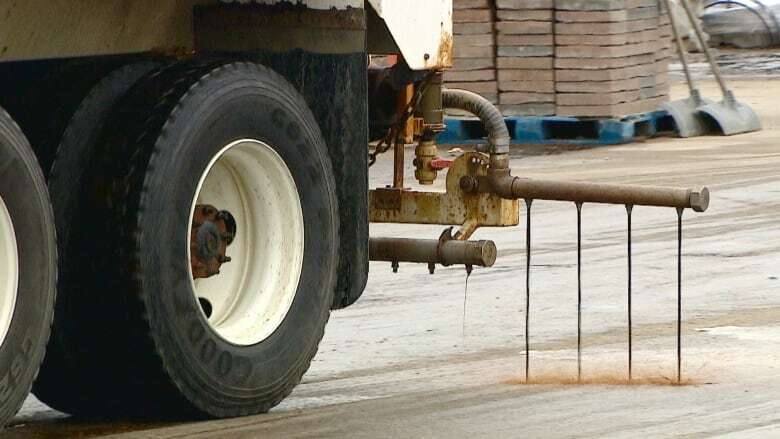 The beet brine is used to pre-treat pavement before snow falls. "That way it keeps the bond of ice from forming, so it's easier for us to clear the roads … and it also keeps the roads clear for a longer period of time," said Fraser. "It gives us a little bit bigger window in terms of our snow clearing operation for snow and ice control." The city uses the beet mixture in conditions as cold as –20 C, but Fraser said he's heard from officials in other jurisdictions — namely B.C., where it's used on parts of the Coquihalla Highway — who say it has prevented ice from forming down to –26 C.
Another advantage is that beet juice is a natural rust inhibitor, while traditional salt has the opposite effect. "As well, it has a carbohydrate in there so it helps the product to stay where it's been placed," said Fraser. "It has a certain stickiness element to it once it's been placed on the road. It's like a soft drink on your floor." Along with the colour, Fraser said cyclists may notice a slight sweet smell while riding along pathways where it's been applied. "People seem to be more concerned about the colour of it, because it's sort of a brown colour when they see it out on the roads," he said. "They seem to be wondering what the brown coloured liquid is." According to City of Calgary spokesperson Kara J. Bussey, this beet brine doesn't leave a stain the way supper table beets do, because it's made from sugar beets. "Although the brine looks like molasses when applied, it doesn't seem to stain clothing," she said, in an email reply to a CBC request. "Anecdotally, our team has had it on their clothes and it has washed out." As far as why beets and not carrots or something else? "Because they are sugary [the carbohydrate], they help the brine stick in place and work its magic on the roads," she said of the Beet 55 Brine formula supplied by LUGR Enterprises.